Decoding Yoga || International Yoga Day || Quote Unquote. What is Yoga? And how can we incorporate it in our daily lives? For me, the idea of Yoga meant doing all kinds of postures and asanas, the rhythmic inhaling – exhaling routine, bodily flexibility and attaining stillness through meditation. Personally, I have never had the stamina to do all these sort of exercises, so I thought I was not a yoga person. 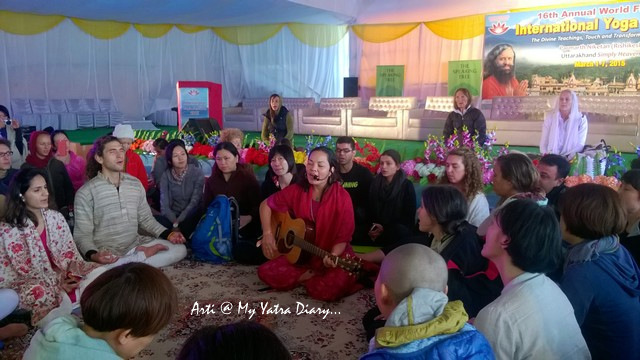 This - until I attended the International Yoga Festival at Parmarth Niketan Ashram in Rishikesh, March 2015 which helped changed my perception and pushed me further in the world of ‘Yoga’ and what all it actually entails. 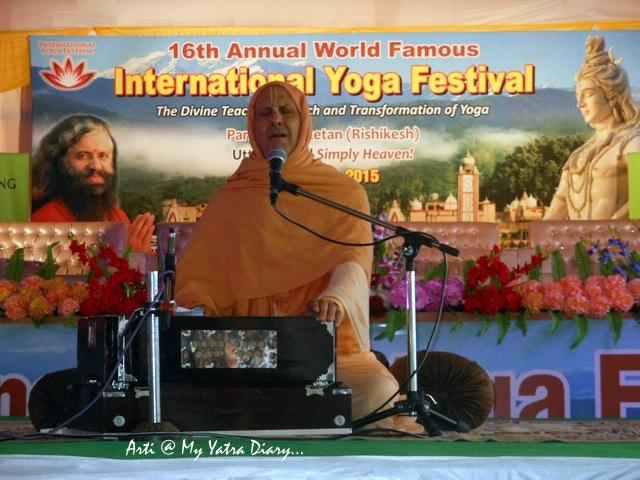 The Yoga festival had approximately 1000 participants from more than 55 countries and more than 60 revered saints, yogacharyas, presenters, seekers and teachers from nearly 20 countries gathered from all over the world explaining the true sense of Yoga, in their culturally unique ways. 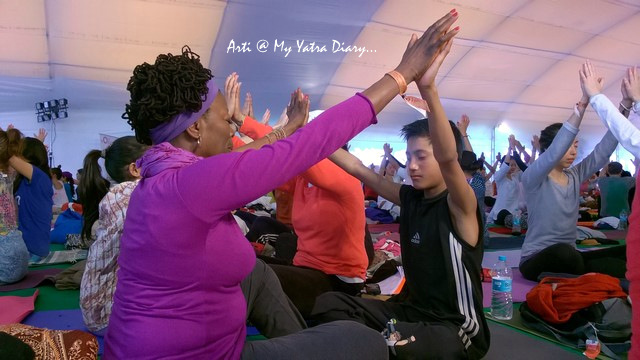 Below is a photo story trying to decode and delve into the true essence of Yoga through a compilation of some quotes I jotted down while attending the various Yoga classes in the festival along with the corresponding pictures. Sit back, take a deep breath and enjoy! 1. The Art of Freeing your Voice. The best healing music is your own voice. A voice that travels beyond space and time - loud and clear in the heart. So sing your own song in your voice. Then, offer it as a selfless service to the Divine. 2. Divine Discourses. Satsangs by Radhanath Swami, Dayanand Saraswati, Sadhvi Bhagwati Saraswati, etc. Forgiveness and compassion are the crest jewels of a true Yogi. that frequency of Grace that is everywhere. And also within us. 3. Appreciation - The Highest Meditation in the Aquarian Age. Love gives you power to Merge and touch your own infinity. Hand exercises that heal the body. ~ David Mei and Team. 5. Osho Style Dynamic Meditation – Letting Go ~ Chris Miglino. All we did was scream, dance, jump and empty our hearts out - let go! 6. Exploring the Frontiers of Consciousness. Happiness is a natural state of consciousness. Everything else is disease. Everything else is imbalance. Happiness is who we are, what we are. This is our birthright. The Universe wants to give you its blessings right now. Accept them with grace. 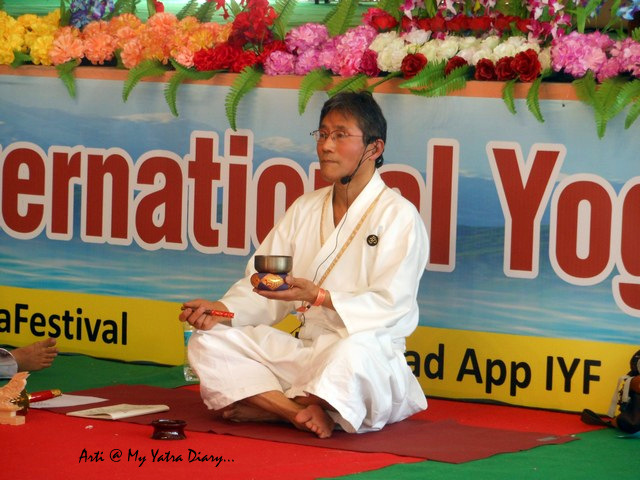 ~ Hikaru Hasimoto, Japanese Shinto Yoga Instructor. 8. Salutation to Ma Ganga. "There are few things on which Hindu India, diverse as it is, might agree. But of the Ganges, India speaks with one voice. 9. 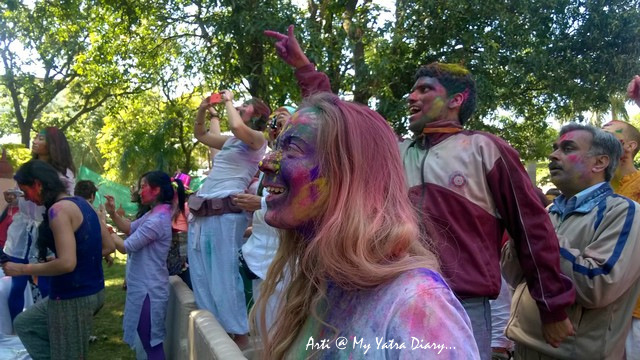 Color dissolves color ~ Holi Celebration. Look at yourself. Look at each other. All look One. All are One. ~ Ramdev Baba, on the eve of Holi. 10. And, Finally … The Eternal Mystic Yogi ~ Lord Shiva. Through Yoga - Indian culture gives you visa for living. A lifetime visa that sustains life after life. 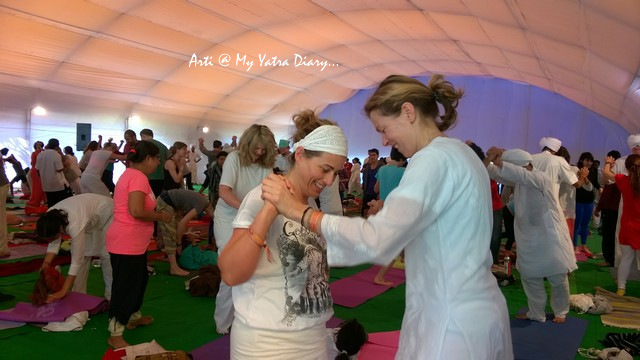 Do not only learn Yoga - live Yoga, breathe yoga - YOU are Yoga! Looks like the Yoga festival is a very big one. Yoga must give people a deep sense of inner calm;good meditation. I had been doing Taichi for several years in early mornings at a garden near my house. Although I do not know the difference between Yoga and Taichi. meditation is a wonderful way to refresh people. The early morning has become the busiest time a day for me as my mother-i-l wakes up, needing a lot of our help. I have to give up Taichi for a while, but I love to restart meditation again. Have a good new week, Arti. Your Japanese friends often think of you. I practiced at home everyweek and would love to attend such yoga retreat and classes. Loved the pictures. 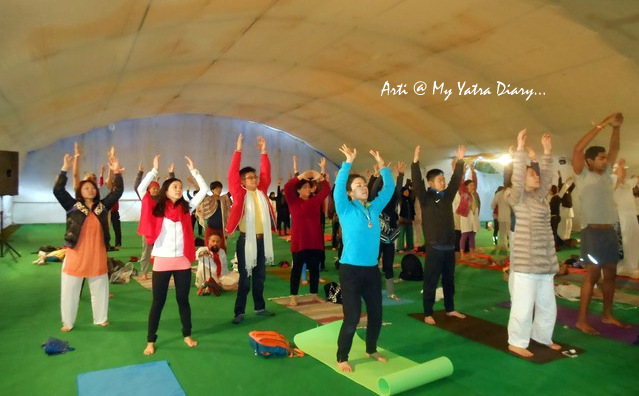 Arti, Awesome post on Yoga Day, Great to read. Great read about the different styles of Yoga and the accompanying quotes are telling the depth of spiritual healing and emancipation possible through yog sadhna. Interesting read about yoga as a way of life. Nice to know about the different ways in which yoga is practiced and the quotes bring out the essence of yoga. What an event..must be quite an experience..I also wrote something about yoga day celebrations at my yoga center..and there was a talk on the meaning of yoga which you might find interesting.. I just curious, the big shiva stone near the ashram still there? are they build the new shiva statue in the river? I am so happy to hear from you, Dear Mareta, how have you been? 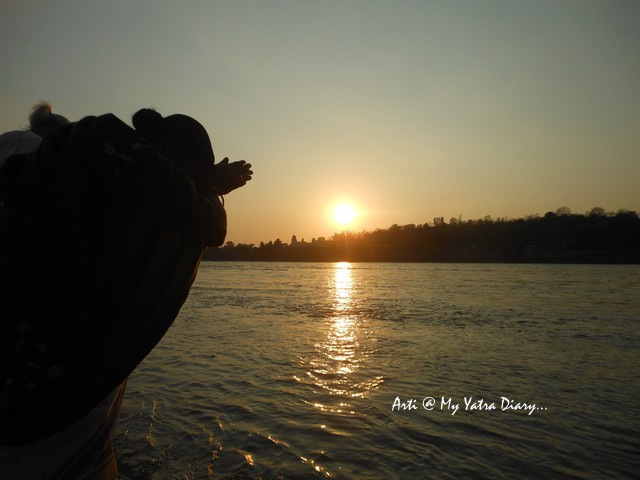 My Rishikesh trip was great and I am missing it already - when are you coming back to India? About the image of Lord Shiva on the platform in the Ganga River - that image is no longer there. In it's place, is a huge placard that says "Om Shanti Shanti, Shanti - Peace to all"
Arti, Awesome post on Yoga Day, Great to read. 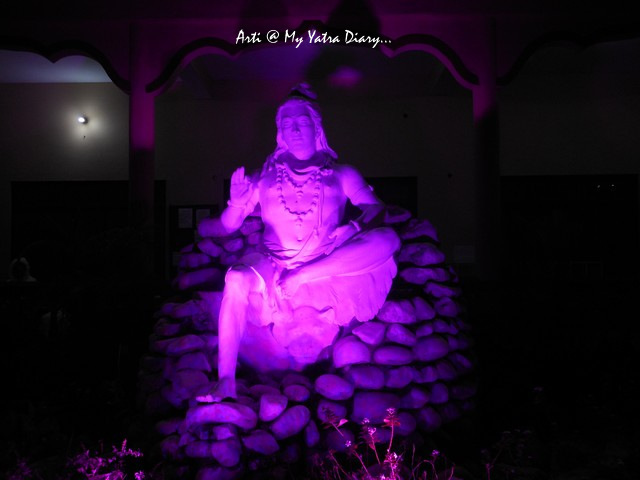 I was also visited Parmarth niketan in Rishikesh recently, and this place is amazing really . Appreciation-The highest meditation... beautiful compilation Arti :) Thanks for sharing the info. This is such a noble cause, you bringing this to all of us. I completely agree with each of them, as i practice Yoga quite often. I don't yoga but looking at the pictures I can say that it is very fun to do. I am not closing my door on trying yoga someday. I hope it is not too late to do that. Nice photos and wonderful collection of quotes relevant to health conscious yoga! Fascinating and insightful post, thank you for sharing. I don't know if you know that, but I used to do yoga a lot when I lived in China. It made me feel so relaxed! :) When I moved to Amsterdam, I stopped it. Today your post made me miss it a lot :). Yoga heals our mind and body.Beautiful presentation with lovely quotes. Brilliant post Arti... 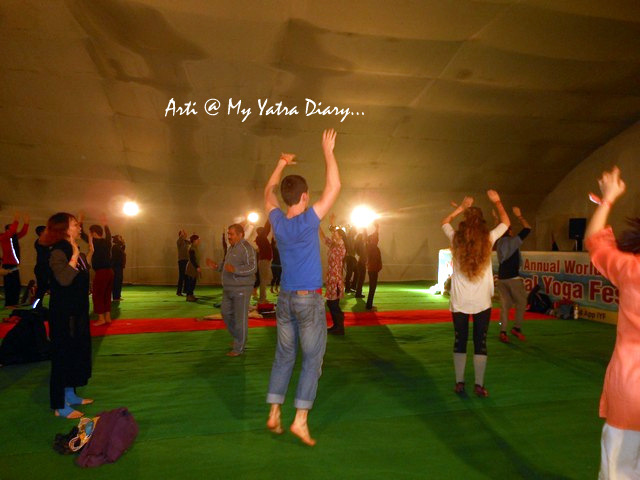 Though I am aware of many yoga asans but unable to practice them regularly... This post is like a booster to get involved with the cure for all ailments, i.e. Yoga! I have had an internal dialogue lately about wanting to do yoga. I know it would make me feel better. Must take action. lovely pictures and amazing writeup..